The year is 2007. The architect of the collapse of Soviet Russia, Yorbachev, and his protégé Pushkin’s, international trading conglomerate, Intrasyn, has grown with revenues in billions of dollars. Intrasyn’s members are now in positions of influence in Russia’s, Ukraine’s and Belorussian’s armed forces and the administration. Brian Turner the chief of NATBAL reviews photographs of an undercover operation covering a safe house of Intrasyn and recognizes Zhirnovsy, a key member of Intrasyn; included are reports of the assassinations of the Minister of the Interior of Belarus and the Security Chief of the Ukraine. Markes with Zonta’s help enters the island headquarters of Intrasyn, hacks the mainframe and discovers the plan to assassinate the President’s of the USA, Belarus, Russia and Ukraine at the signing of a Treaty at Kiev, and the more sinister plot to invade Europe. 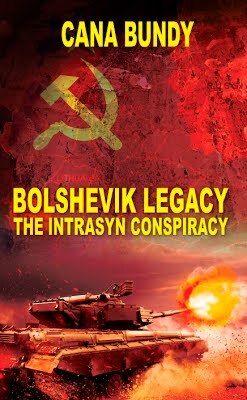 Can Markes and Zonta prevent the assassinations of the Presidents and expose Intrasyn’s plans to dominate the world?